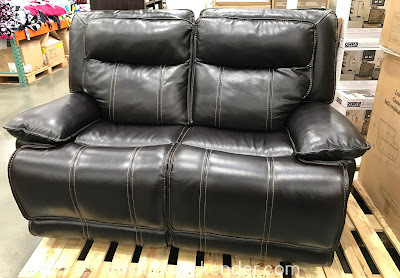 Do you have to sit on your favorite recliner while watching TV? That's great but traditional recliners can take up a lot of room but can only hold one person. 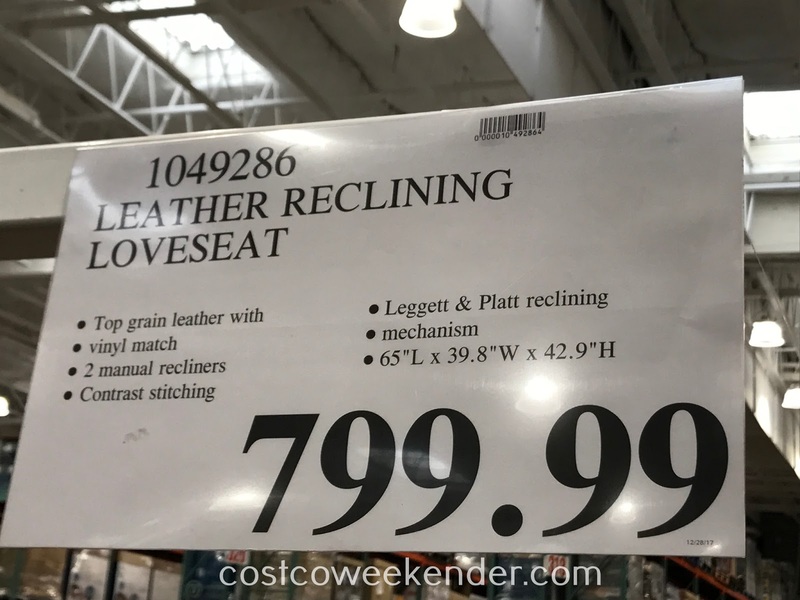 So why not have a loveseat that can do the same thing like the Leather Reclining Loveseat from Costco? 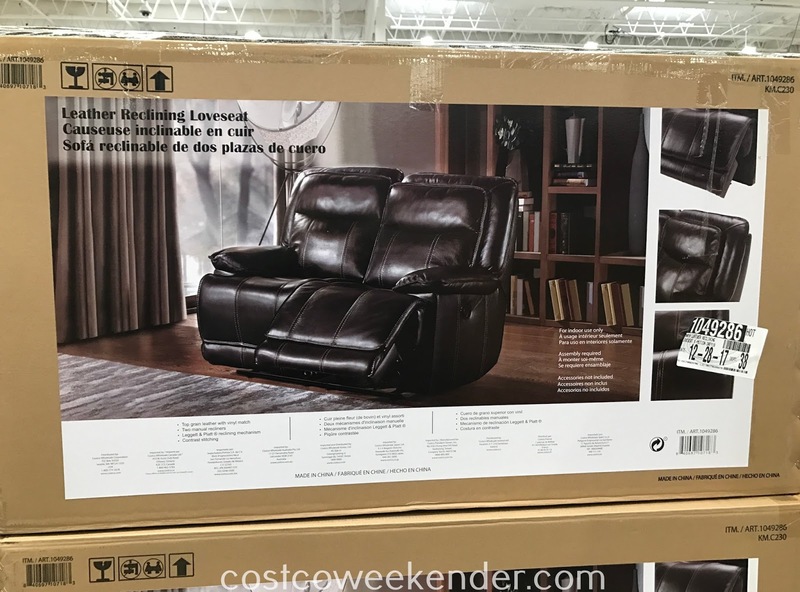 You're probably going to have a small couch or loveseat in your living room anyway so why not have it recline? And the 2 recliners can recline independently. I like to relax when I'm watching TV or even just take a nap on a Sunday afternoon. So the Leather Reclining Loveseat from Costco is a perfect piece for our home. The tag states leather and matching vinyl. What percentage and where is the vinyl used? 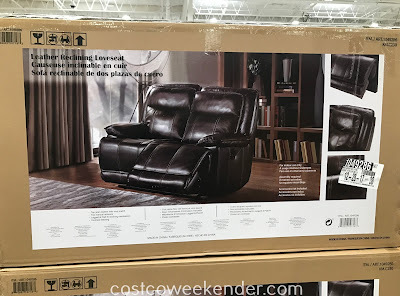 Does the recliner come apart? Hello @Dsr, I don't believe the Leather Reclining Loveseat comes apart to make two individual recliners. It would be cool if it did though.